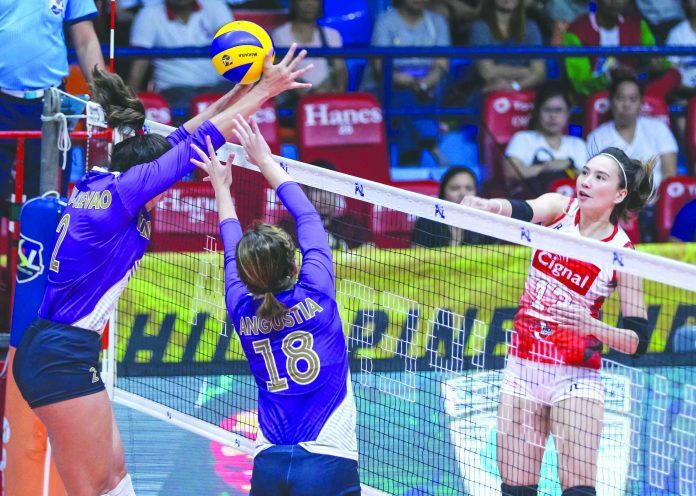 MANILA – United Volleyball Club got back on the winning track in the 2019 Philippine Superliga Grand Prix after a 14-25, 25-21, 25-21, 26-24 victory over Cignal HD Spikers on Tuesday at the San Juan Arena. Filipino-American star Kalei Mau and import Yaasmeen Bedart-Ghani unloaded 19 points apiece for the United VC, which tallied its first win in the second round to improve to 5-4. Shar Manu-Olevao was also instrumental for the United VC with 10 points while setter Alohi Robins-Hardy dished out 31 excellent sets, 16 digs and three markers. 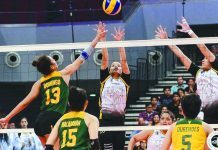 After struggling heavily in the first set, the United VC got it going in the second and third frame with strong starts behind Mau and Bedart-Ghani before thwarting HD Spikers’ attempted run. 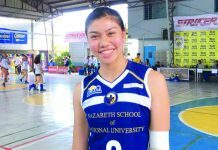 The game was tight in the fourth set with HD Spikers slightly up at 21-23 before Bedart-Ghani delivered the game winning spikes that completed United VC come-from-behind win.